We work with a large number of pubs, bars, nightclubs, sports and social clubs providing ongoing drain unblocking and repair services to keep their business operable and hygienic across London, Sussex, Surrey and Kent. Social venue drains can face some real challenges, often with a high workload condensed forced into short spaces of time around lunchtimes or at weekend evenings, and those with food facilities can face all the problems restaurant drains do. Toilets can easily get blocked with all kinds of things getting flushed, sinks can face the same problems and if a drain cracks and start leaking just before the busy weekend it could mean closing down for the busiest part of the week. If you run a pub or club across Kent or London and want the very best drain repairs from experienced professionals,contact JLH Drains. Call our expert team now on 0800 781 8922 to arrange your FREE property survey and no obligation quotation at your convenience. Our highly skilled and experienced team are fully certified to work with drains including streetworks, confined spaces and handling of all related health and safety issues with £5m in liability insurance. Periodic maintenance contract are often a cost saving direction to go with complete flexibility offered; we can do a full survey of your drains, assess your usage and suggest a range of drain cleaning, high pressure water jetting, CCTV fault surveys and other drain maintenance services. Carried out as regularly as required many of our pub and club clients, especially those offering food, arrange periodic maintenance on a quarterly basis. Based at five sites in Kent bringing us within 90 minutes of the whole county and much of London we cover the whole area for commercial drain maintenance customers. Some of our most recent clients have been based in; London, Bromley, Greenwich, Medway, Gillingham, Chatham, Rainham, Twydall, Rochester, Strood, Maidstone, Sidcup, Darford, Gravesend, Higham, Luton, Newington, Chatham, Gillingham Sittingbourne, Meopham, West Malling, Surrey, Sussex and Orpington. 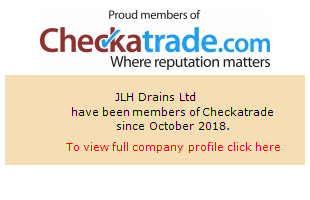 Whatever your drain repair or maintenance needs in pubs, clubs, bars and evening social venues and halls of all kinds, speak to the experts at JLH Drains; contact us today and we can arrange a survey and quotation with one of our experienced team.